2016 Mid-Autumn Festival falls on September 15th. The holiday lasts from September 15th to 17th. Due to the pleasant autumn weather this is a peak time for travel. 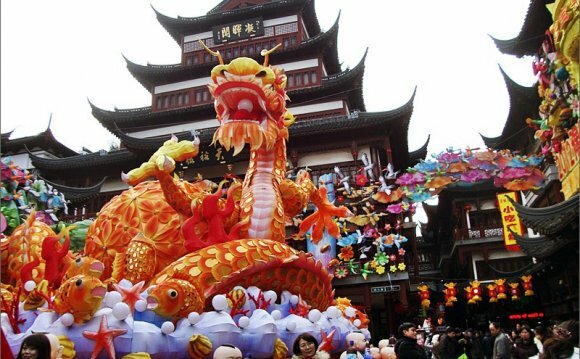 Welcome to China and explore the traditional folk customs of this interesting festival! This custom could be traced back to the Zhou Dynasty (1046 - 256 BC) and was more often practiced by the royal class on the Autumnal Equinox. At that time, the custom had no festival background at all. Later in the Sui (581 - 618 AD) and Tang (618 - 907 AD) dynasties, social prosperity inspired the custom of appreciating the moon on the moon sacrifice ceremony day among common people and the two merged. The people expressed their faith more liberally than the royal class and so they did not strictly hold their activities on the Autumnal Equinox. So August 15th of the Chinese lunar calendar, the closest full moon day to the Autumnal Equinox, turned out to be a better choice and was set as a fixed festival. This happened in the Tang Dynasty. By the time of the Northern Song Dynasty (960 - 1127 AD), Mid-Autumn Festival had already become a widely celebrated folk festival.